Cheesy low carb crackers are easy to make at home. No need to pay the big bucks to get gluten-free crackers that taste like cardboard, when you can have these on the table in 40 minutes from start to finish. 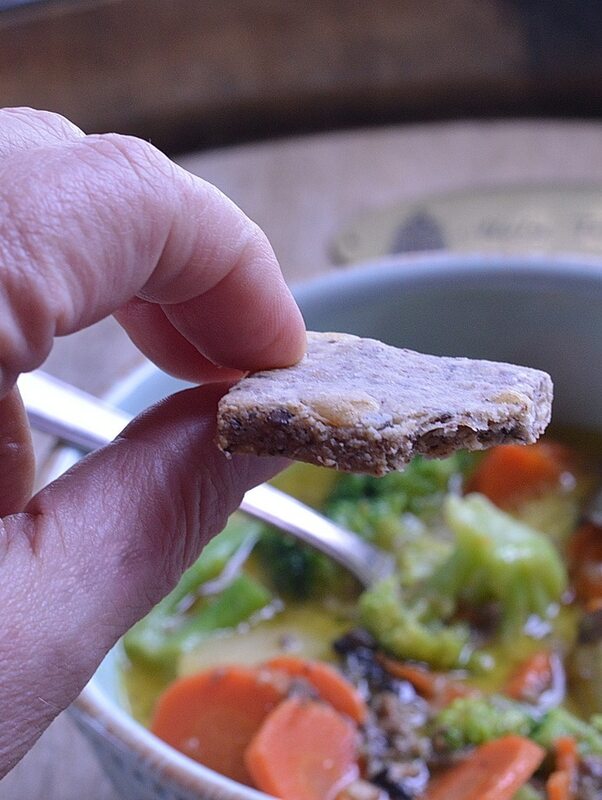 Enjoy these keto crackers with your bone broth soup or use them in the place of chips for hummus dip. They have a satisfying crunch and are also healthy, high in Omega 3 fatty acids, and healthy fiber that makes you feel fuller faster. Flaxseed is heart healthy which may lower the risk of heart attacks and stroke. They are rich in lignans, which may reduce cancer risk. Flaxseed has also been found to help with weight loss, blood sugar control, and lower cholesterol levels. 3 tablespoons of ground flaxseed will give you as much omega 3 or ALA as in 1 tablespoon of cold pressed flax oil. The recommended daily dose of omega 3s or ALA is 1.2 to 1.7 or about 1 tablespoon of ground flax seed per day. Read more about the health benefits of flaxseed here. Crunchy, delicious low carb crackers are hard to find. Many storebought gluten-free crackers are like salty cardboard. And they are expensive. 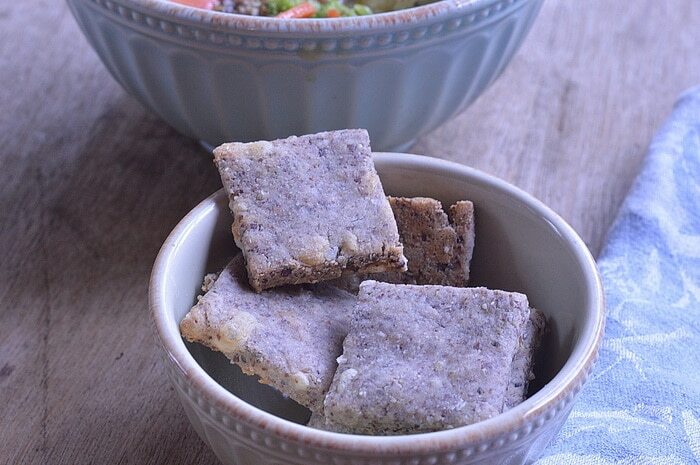 One box of low carb crackers or gluten-free crackers costs around $5 or $20 per pound. The homemade version often turns out heavy or complicated with 4 or 5 different flours, none of them are wheat, of course. This recipe uses only 5 ingredients. It is gluten-free, egg free, vegan, paleo, and keto. 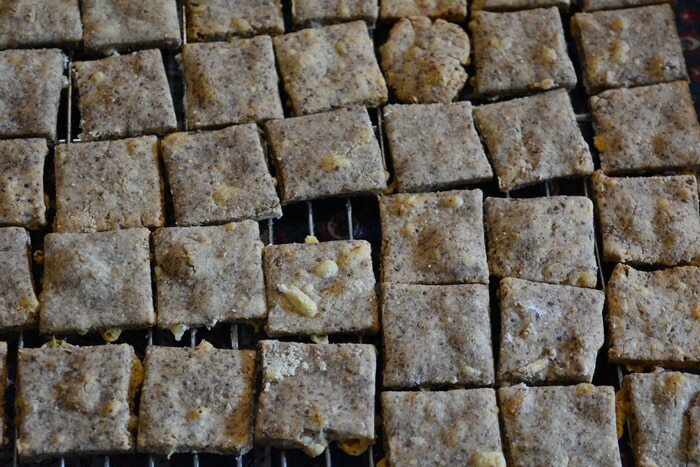 And these low carb crackers are best eaten warm, right out of the oven. If you plan to make them ahead, crisp them in the oven for 5 minutes before serving, for that fresh baked flavor and crisp texture. 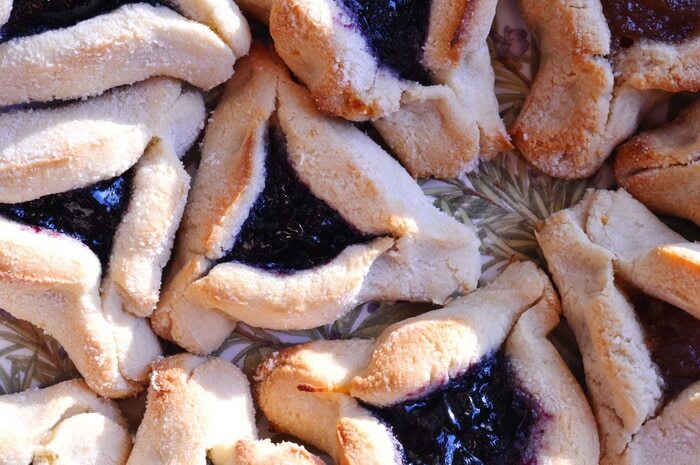 Even though these are wheat-free and gluten-free, the dough holds together for rolling and cutting. But use a small cookie cutter. The dough won’t hold its shape for pizza crust. This is the cheesy version with a 1/4 cup of cheese added to the dough when mixing. But they are just as tasty if you leave out the cheese. You’ll need to add 1 teaspoon of salt though, to make up for the salt in the cheese. Cheesy low carb crackers are easy to make at home. No need to pay the big bucks to get gluten-free crackers when you can have these on the table in 40 minutes from start to finish. Use freshly ground flax for this recipe. I grind 1 1/4 cup of whole flax seed in a blender jar until coarsely ground. Put the flax seed into a mixing bowl. Add 3 cups of almond flour, baking powder, and olive oil. Stir with a spoon to blend well. Pour in water. Stir until a soft dough forms. Stir in grated cheese until fully blended. Set aside for 10 minutes to allow the dough to become uniformly moistened. Add salt, if using, and mix in. Divide dough into 3 parts. 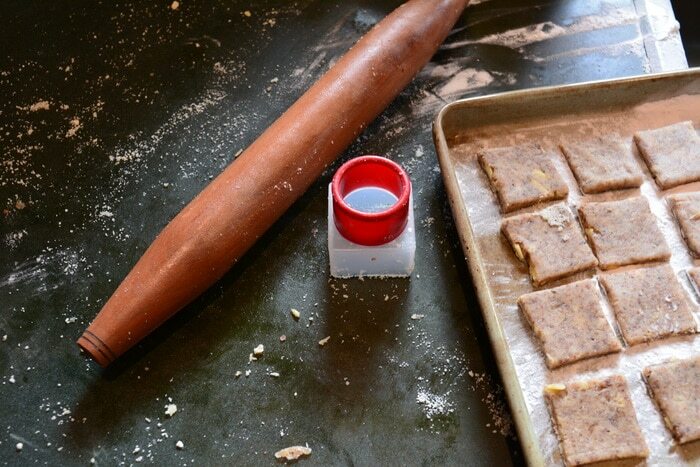 Roll out dough on counter, sprinkled with additional flour or flax seed to prevent sticking. Roll to 1/4 inch or less thickness. Cut with cookie cutters or biscuit cutters. 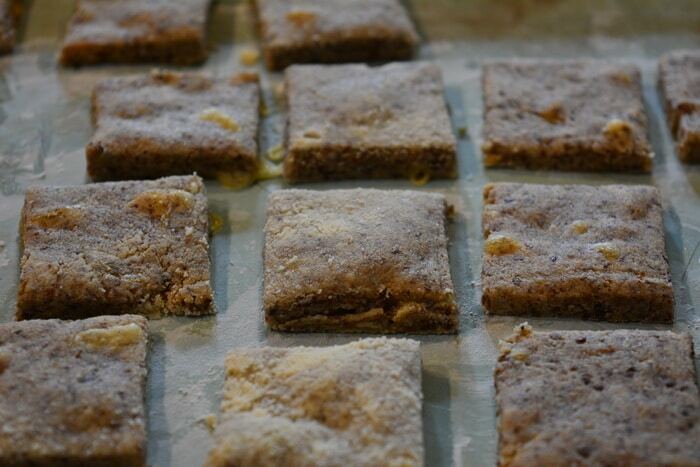 Place cut crackers on floured baking tray. No need to space widely, these crackers do not spread. Bake the crackers in a 400F oven for 15 minutes. Remove from the oven to cooling rack. Crackers will continue to crisp as they cool. Repeat until all crackers are baked. The crackers can be made ahead and kept in an airtight container. If kept in the freezer, these crackers should be crisped in a 400F oven for 5 minutes before serving. One complaint of those who are new to low carb, paleo, or keto lifestyles is constipation. Diets that are designed to be low in carbohydrates are often also low in fiber. These crackers are high fiber while still fitting with the low carb diet. Use them to maintain healthy regularity while your body adjusts to a healthier diet and lifestyle. 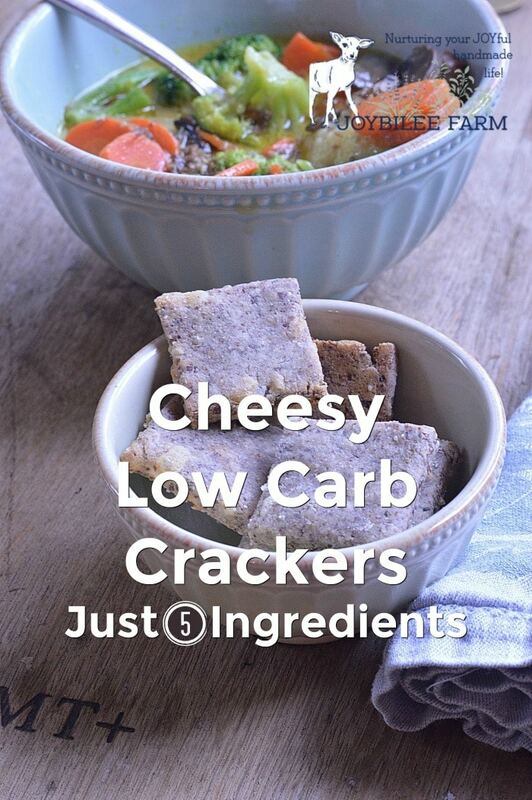 Enjoy these easy to make low carb crackers anytime. The tasty crunchiness and extra fiber can help you stay on your low carb diet when cravings or discomfort threaten to put you off course.